Well should have been things I loved this week but I am a day late in writing to you guys. I just seem to have so much on right now and not enough hours in the day. Last week was my first week back at work after my Christmas and New Year break. Have to say it took some getting used to having to drag myself out of bed at 6.45am and as for getting in the swing of things at my desk, well, lets just say I paced myself and broke myself in gently! The thing is though, it's that January feeling, we want to eat healthy and be at the gym but it's so cold and miserable we can't be bothered. Everything looks a bit lifeless and has that grey-ish tinge, including my skin, SO, I started a weeks detox with these little gems. You use the green lavender capsule at night and the pink rose capsule in the morning. I know some of you may be scared at the thought of putting an oil onto your skin and none more so than me when my skin was really prone to spots and very oily. 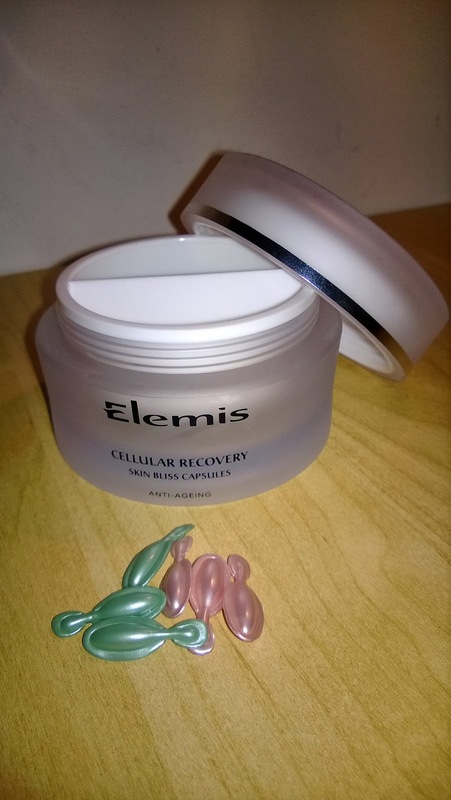 However, these help to renew the skins elasticity, help repair the signs of ageing, and the anti-oxidants clean out your skin ridding it of harmful nasties and it's weird, but I can definitely see my skin becoming clearer when I look in the mirror. You can get your hands on these little beauties at Time to Spa. Another favourite of mine this week are these two. 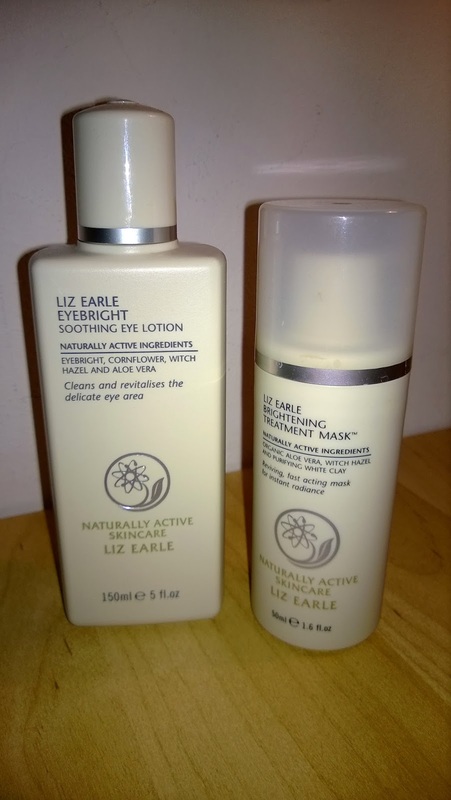 Although I stopped using Liz Earle in my main skincare regime I will not be without the Eyebright and the Brightening Treatment. Sorry about the not so great quality photos but just grabbed them from my shelf and started snapping. I use the brightening treatment only in the morning to wipe over my eyes, even though I take my mascara off before I go to the land of nod, or not go in my case, I like to cleanse and wipe away any residue. It really refreshers the peepers and helps wake them up a bit. And as for the Brightening treatment mask, what can I say? For me this works. I have tried other similar products on the market but never found anything as good. I pop a layer on first thing in the morning, say once a week, and hey presto, my skin looks revitalised. Definitely worth investing in if you want that January skin glow. Grab yours here at Liz Earle or you can also get it at some selected Boots and John Lewis stores. 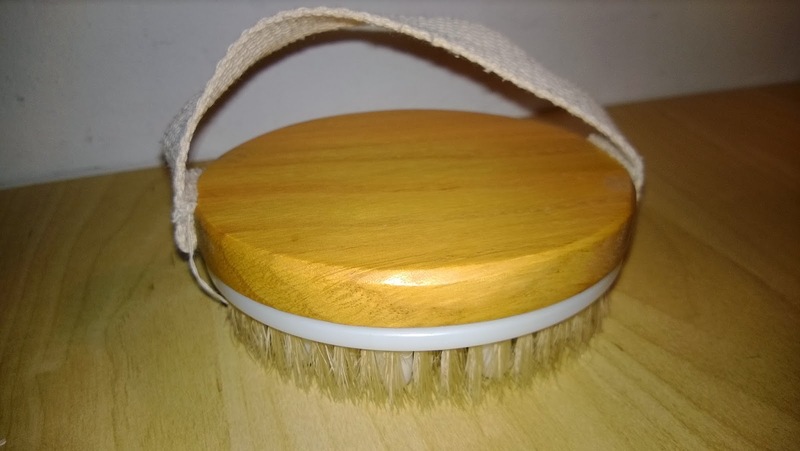 Throughout the summer I was dry body brushing religiously to help with my cellulite and lumpy bits! Towards the end of the year and with extra things going on at work I got a bit slack. I wish I hadn't. But hey, picked it right back up again with the rest of my new year, new me routine. 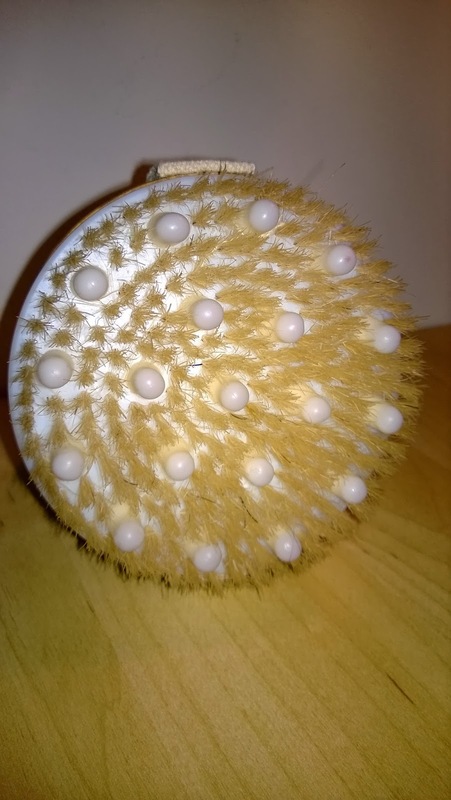 I'd heard about dry body brushing so many times before but never bothered. When I ramped up my visits to the gym before my summer hols I started with it and genuinely saw great results, even my husband kindly said 'oh yeah you're saddle bags look much better', cheers honey! It works by stimulating the circulation and lymphatic system helping to eliminate toxins. Always brush towards the heart from the soles of the feet working upwards with long strokes. It may seem a bit of a chore at first but you must continue as it's worth it. It leaves my skin tingly and fresh feeling, oh and a tad red! It's even got nobbly bits on too to help with massage. There's a great one, similar to mine here, at Boots They also have a long handled one but I prefer the no handle option as it's easier to control. Both reasonably priced! One other thing I'm also loving, is Ojon shampoo and conditioner. I mentioned in a previous post that I bought travel sizes to try out. I went for the volumising range as my hair is always fine, limp, flyaway, and BORING! I did say I would report back on these. Well I must admit that after the first use I didn't really see much difference, I think I was hoping for a huge head of hair all of a sudden with masses of volume, all bouncing around like Kate Middletons. NO. However ladies what I will say is that now after several washes I can see some body to my hair. I normally dread washing mine as I can't do anything with it immediately after but it's not so bad right now, and feel like my hair has come alive a little bit. Relieved really because Mr C bought me the shampoo for Christmas, think it was after all the loud hints I dropped and at around £18 a bottle it's not cheap. Ojon can be bought online or if you prefer to pop into a store, try selected John Lewis or Boots locations. 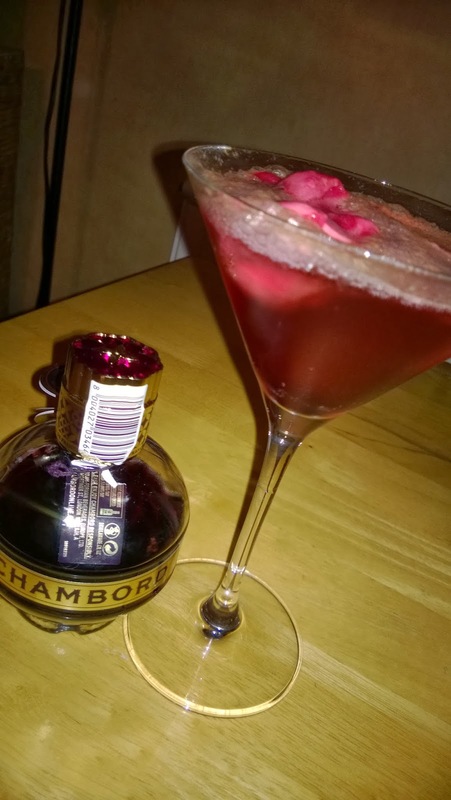 Oh one last thing I loved were the Chambord champagne cocktails! Yum.